The symptoms of restless leg syndrome are the urge to move the legs because of a creeping, tingling or burning feeling. Restless leg syndrome is a sleep disorder that causes an intense need to move the legs and occurs when the person is either lying down or sitting for a long period of time. It can happen when watching a movie or driving, but it mostly occurs when people are trying to sleep. Learn more about Restless Leg Syndrome. Chronic lack of sleep and pain can make it difficult if not impossible to go about your daily tasks, including your job. It often leads to insomnia, daytime sleepiness, irritability and can seriously impair concentration and the ability to perform tasks that require a high level of cognitive skills. If you are suffering from Restless Leg Syndrome and your claim for disability insurance benefits has been denied or the disability insurance company is asking for more and more information about your work history or your finances, it’s time to reach out for help. Please call our disability insurance law firm at 877-583-2524 to find out how we can fight your claim denial, or handle your ERISA disability appeal. 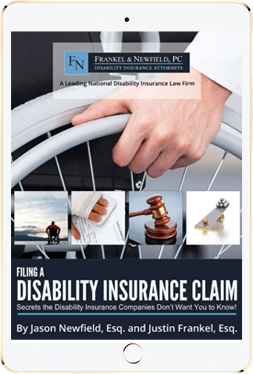 We have worked with all disability insurance companies and we know their tactics. Call today.